The task force will critique research on services available to those in recovery at Concordia and make better recommendations. Stock Photo Nikolas Litzenberger. The Concordia Student Union has kick started efforts to bring a greater conversation to addiction at Concordia, as Students in Recovery Task Force is being assembled to review research conducted by the CSU on services available to those in recovery at Concordia. Along with assessing the research, the task force will recommend and seek feedback from students that are in recovery, regarding what they would like to see on campus, said CSU student life coordinator Michèle Sandiford. “We’re prioritizing students that are in recovery but we’re happy to have people that have any other experience, whether its an academic interest or a community interest or have been touched by it in their lives otherwise,” said Sandiford. The task force will be composed of eight members, not only welcoming those with lived experiences, but also those with an interest in addiction, community support, and harm reduction tactics. The call out for task force members will come to a close Jan. 18. “What I really want is that no matter what we take on as a campus, that people in recovery are giving that feedback and are part of the planning and the execution,” said Sandiford. Sandiford said funding for the task force is planned to be drawn from existing funds. Considering specific events of this nature being hosted in the future, Sandiford said she’d like to hear feedback from the task force first. 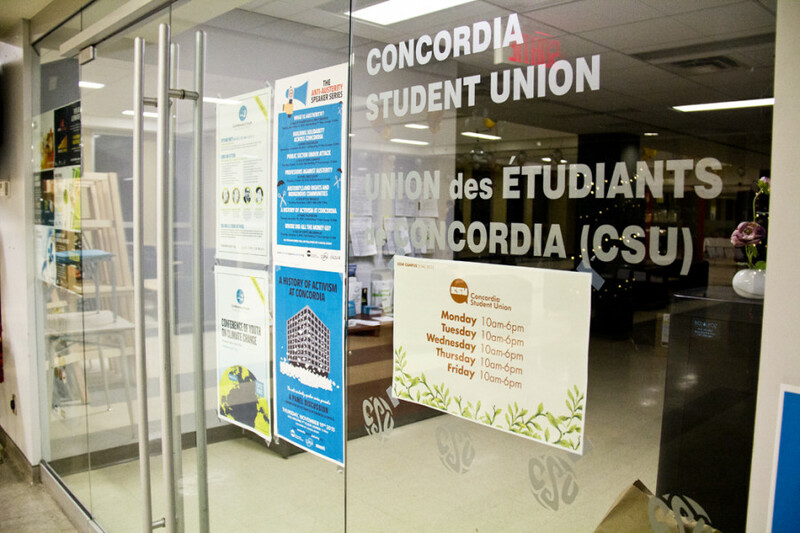 “[The CSU has] been talking with different university groups—like dean of students and the psychology services, things like that—about the idea of trying to integrate peer support for addiction specifically within Concordia,” said Sandiford. “It’s really important because students with addiction really need that peer support, our psychology services are really overworked and a lot of people have success complimenting counseling with things like peer support and having a safe space,” said Sandiford. Sandiford said sober events have been looked into for the future, but cannot confirm what will be offered.